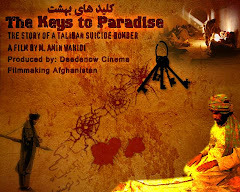 Deedenow Cinema Production Afghanistan: AFGHANISTAN: "I sold my daughter to feed the rest of my family"
AFGHANISTAN: "I sold my daughter to feed the rest of my family"
SHIBERGHAN, 18 May (IRIN) - Ayed Ali (not his real name) sold his 11-year-old daughter, Rabia, for US$2,000 to a man in Sheberghan city, Jawzjan Province in northern Afghanistan to feed his wife and three younger children. With food prices in Afghanistan having soared over the past few months and the 40-year-old father unable to find work, he said had no other choice but to sell his daughter to save his family from starvation. "Even animals don't sell their children, because they love them and want to die for them, not to mention human beings. For too many days I stood next to roads and asked people for work, but always ended up disappointed. I couldn't go home empty-handed and disappoint my starving children, so I used to scavenge in garbage and collect leftover food. "I would lie to my family and say I bought them food from the market. But now it's even hard to find anything edible in the garbage because of [increasing] food prices. People now eat all their food because it's very expensive and also the numbers of those who scavenge in garbage has increased. "Because I am illiterate, no one will give me a job. I am illiterate because of war and poverty. I didn't go to school because my parents wanted me to work. My children also don't go to school and they'll also be brought up illiterate like me. "How can someone sell his own child? It's like selling your eyes or selling your heart! "As no one would give me work I had no other option but to sell my lovely daughter. I sold her only to save the rest of my family. I sold her only to buy food for my younger children who otherwise would have died from hunger. "I know people will say I am a cruel and merciless father who sold his own child, but those who say so don't know my hardship and have never felt the hunger that my family suffers. "I know other poor people who don't have children and say, if necessary; they will blow themselves up [in a suicide attack] and kill other people in order to feed their families. 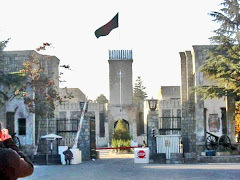 Perhaps it is not the first or second but fourth or fifth time that such shocking news is heard from Afghanistan. Just on 2nd of May, a twelve years old boy hanged himself because of starvation and hunger in Sheberghan city. As reported by Aatash.org the little boy returns from school and asks her mother for food, the mother gives him a glass of water and some burnt bread. 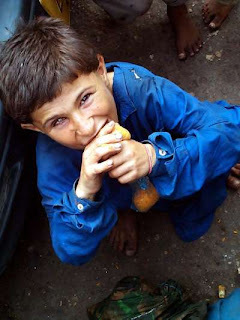 The little boy cries and lives the room saying it is better to die rather than eating burnt bread and drinking water every day, but the mother doesn’t take it serious. A few hours later the mother finds the dead body of the little boy hanged in the other room. 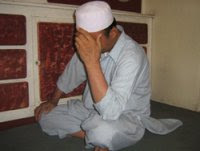 There is a same case in Herat, as reported by Aatash.org on 19th May; a forty years old man decides to kill all his family members because of poverty and lack of livelihood, but the neighbours inform the police and they arrest him. Shams (alias name) father of eight children, because of having no job and no money to provide food for their family members attempted to kill them while he is regretful in the detention centre, he says that his family members were all sinless and innocent, they only asked him to bring them food and he got angry when not having money to buy food. 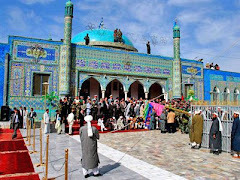 This seems to be the first case of such case in Herat. A few months ago in the winter of 2007, when once the Iranian government deported the Afghans without any prior notice, a mother who was deported with her infant among the other deportees, was compel to sell her infant in order to save its life, otherwise she didn’t have money to buy food and medicine for the infant in the coldness of winter. 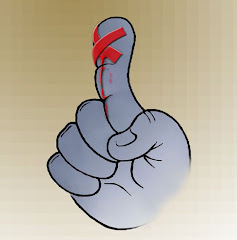 These are only some of the cases that are revealed to the media, but there are tens of such cases that are not revealed to the media due to tribal and traditional fanaticism among the people. Actually a high percentage of the self-burning among the women is related to the family brawls that have roots in poverty and lack of enough livelihoods in the families. 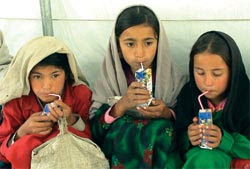 Although the self burnings among the women are related with forced marriages, but in fact most of those forced marriages are done like a selling deal due to poverty for which the families of the girls in fact sell their daughters for money to whoever is richer or pays more money without the consent and likes and dislikes of the girls which is again because of poverty, illiteracy and traditionalism in the society. Lately there was another report on BBC Persian website about the work opportunities in the fields of opium in Helmand province for hundreds of people of Herat and other western provinces during the harvest season of opium. There are many returnees and deportees from Iran in these provinces who are back home without having a work or a shelter, therefore the first thing they are looking for is a work and this way, the growing opium fields have become good working fields for them. 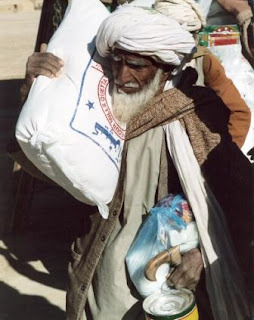 They are paid 500 Rupees of Pakistan per day which equals 400 Afghanis and it is more than if they find any job like masonry or other hard works that pays no more than 150 Afghanis per day for a person . 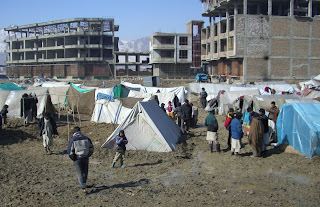 The government is not yet ready to receive and accept this number of returnees at once from Iran and Pakistan on the other hand these two neighbouring countries use the deportation of Afghan refugees as a pressure tool on the Afghan government for political reasons. 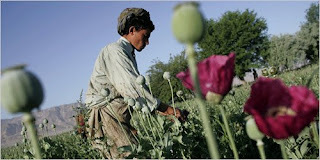 While producing the ninety percent of opium of the world Afghanistan as the biggest opium producer in the world is always blamed for not fighting for eradication of opium fields in this country and although a ministry exists for counter narcotic, but not significant efforts are made to destroy the opium fields in different provinces especially in the south and east of the country. 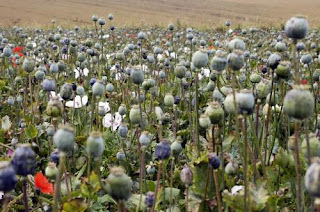 From one side in spite of wasting millions of dollars in the Ministry of Counter Narcotic when not only nothing is done so far but instead the opium fields have increased, it is like an enigma whether the Afghan government of Karzai doesn’t want to eradicate these fields or is really not able to do so. One obvious thing is clear, that the Afghan government has not been able to introduce an alternative cultivation yet for the farmers, but with existence of millions of funds for this project why nothing is provided as alternative, is not clear. 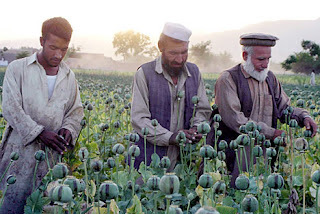 This is also obvious that existence of these fields is correlated with the resistance of the Taliban fighters in Afghanistan; as long as they are fed and supported logistically with the money earned from opium, on the other hand as the reports showed, they can easily hire many people to work for them in their opium fields in addition to be able to hire and convince young a semi - literate religious students for suicide attack purposes by the opium funds. 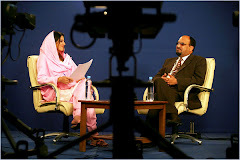 Therefore there is a concern that if the government does not move serious steps forwards regarding control of inflation, high costs of food, joblessness and unemployment for youth and drug cultivation the mistakes of ten years will be repeated and the country once again would go towards chaos, disorder and Talibanism exactly like seven to ten years back.